Andrew lines up his shot. Troop 50 took advantage of the three day holiday weekend and headed to Gatlinburg, Tennessee for some fun in the snow for both Scouts and family members. Most drove up on Friday evening, arriving in the wee hours of Saturday morning. However, it wasn't long before the Scouts were up and exploring the town. A round of indoor miniature golf took us out of the cold weather for a time on a blacklighted, circus-themed course. The spirited round of golf was followed by lunch at the Pizza Hut, which included witnessing a marriage proposal in the restaurant (how overly romantic!). Saturday afternoon, we crowded aboard the aerial tram and headed up to Ober Gatlinburg for a turn at ice skating and snow tubing. All of the boys and the scoutmaster headed out for a turn around the ice; some with more success than others. 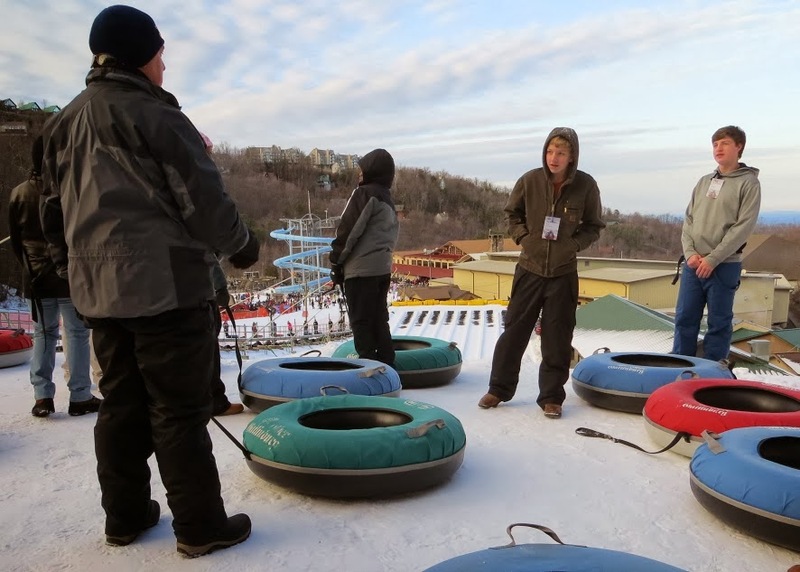 While most enjoyed the skating, it was the snow tubing that was the real hit of the day. During our hour and a half time slot, we rode up the hill on the conveyor system (aka the magic carpet) and came barreling down the slides on inner tubes. Some made the round trip as many times as our time allowed. A nice, cozy dinner (for thirteen) followed at Blaine's upon our return to downtown Gatlinburg. After that, everyone was ready for a good night's sleep with the promise of a full day ahead. 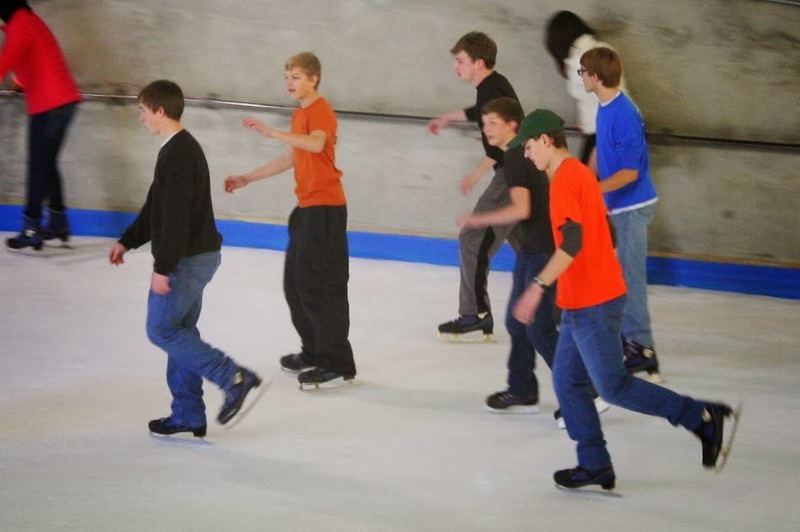 Jake, John, Kyle, Andrew, Davis, & Robert enjoy a spin around the ice. On Sunday morning it was back up the mountain for a full day of skiing. Some of the more experienced skiers (and some who weren't) headed out to the slopes as soon as they were issued their gear. 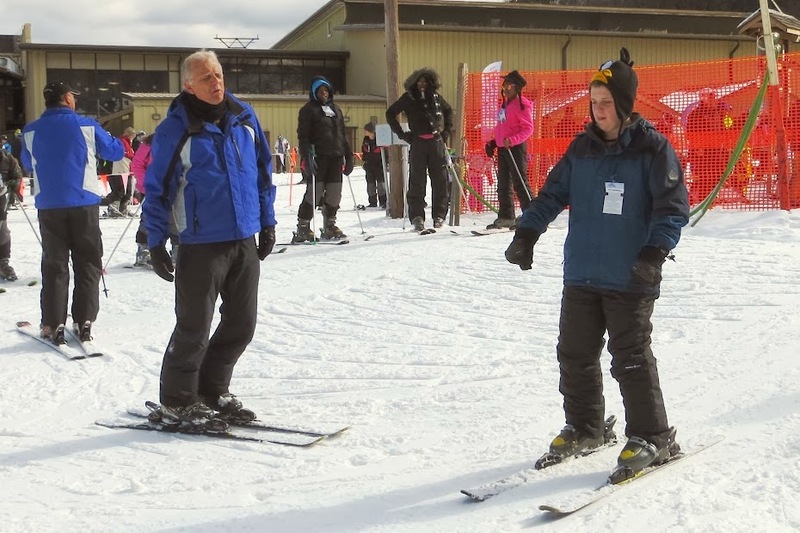 Others attended the ski school to learn such unimportant skills as stopping, turning, and avoiding other skiers. The day was then filled with various ups and downs for all. 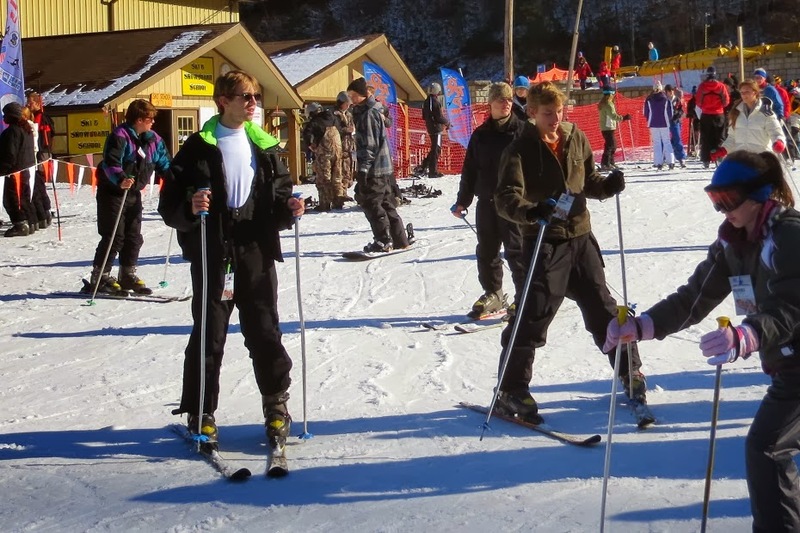 Many took to skiing quite well, while others had varying degrees of success. By suppertime, about half of the contingent had withdrawn from the slopes (including the mysterious disappearance of the scoutmaster) and were ready to head back to the hotel. However, the other half were still going strong and stayed until the slopes closed at 10:00 PM. While most of Monday was dedicated to the return trip to Auburn, it also included a hearty breakfast at the Flapjack House and several turns around a go-kart track in Pigeon Forge. At the PLC meeting on Tuesday evening, the youth leadership of the troop unanimously agreed that it was a terrific trip. While they noted that there were a few issues with managing a trip such as this one, overall, it was a high point among all of the troop activities. 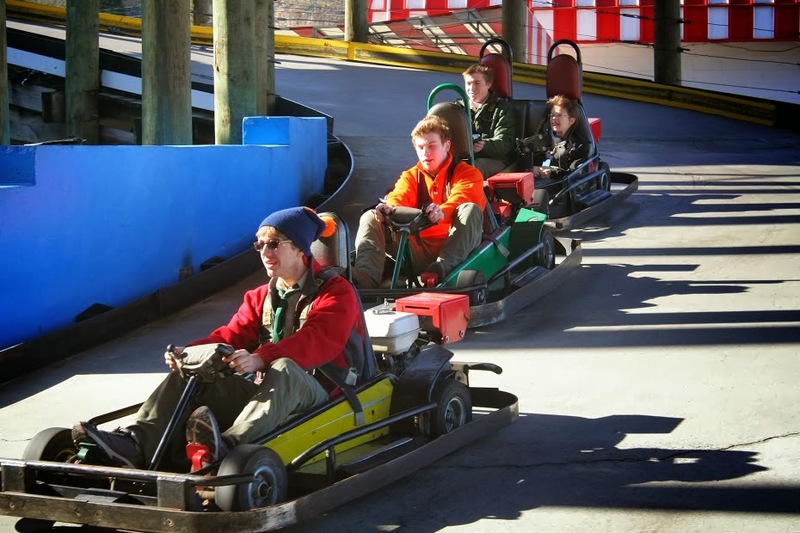 The wide range of activities from skiing to go-karts, gave everyone an opportunity for fun. Robert, Kyle, Jake & Trey compete for first place. Numerous photos are available through the online photo album.